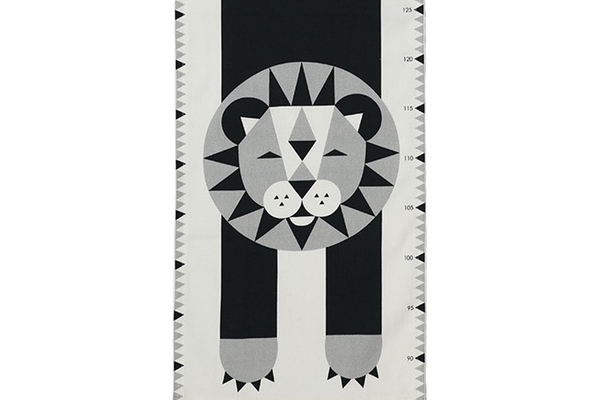 The Lion Growth Chart from Anny Who is more than a simple growth chart, it’s moonlighting as a spectacular piece of Scandinavian artwork. Made from durable cotton canvas and hung from timber rods to make the most of all its glorious lengthy lion print, it’s a children’s art piece which is sure to be loved – and not just for the act of measuring. The Lion Growth Chart is priced €39 and available direct from Anny Who.